One year ago Facebook reported that it had over 3 million advertisers on their platform. It may not be a search engine, but paid search marketers have certainly found value and ROI from advertising on Facebook. Similarly social media marketers have also expanded the reach of their campaigns, by applying their Facebook insights to paid search and remarketing efforts. Combining paid search and social campaigns creates a marketing force to be reckoned with. This post looks at 5 ways marketers can fully realize that combined marketing power! There’s a very clear (and obvious) distinction between what people use Facebook and Google for. While users on a search engine are purpose-driven and looking for a piece of information, users on a social media network are typically there to be social. On Facebook and Instagram, people check on their friends, their favourite pages, and keep up to date on recent trends. Users discover new things on Facebook and Instagram, whereas on Google users find something they know they already need. Therefore Facebook and Instagram can be used for brand awareness, while Google’s advertising network is often more appropriate for driving direct conversions. For marketers this distinction is key to unlocking the potential of both channels. If you’re a business that is launching a new product (or a new business in general), no one is going to search for you in Google, simply because they don’t know you exist. Businesses have to establish an audience and a strong brand presence before the public will use search engines as a means to find them (long-term organic SEO efforts excluded). Facebook can help. By advertising on Facebook marketers can build brand awareness, because ads will be shown to users as they scroll through their newsfeed. Over time users will become familiar with your brand simply from the ads you’ve circulated on Facebook (and hopefully also from word-of-mouth because that’s how good your business is!). Facebook’s audience-targeting makes this even easier, allowing you to generate demand for your product/business from a specific demographic built from numerous data points. Otherwise known as “pull marketing,” this strategy lets you build demand and awareness on Facebook so that users will actually begin to search for your business on Google. 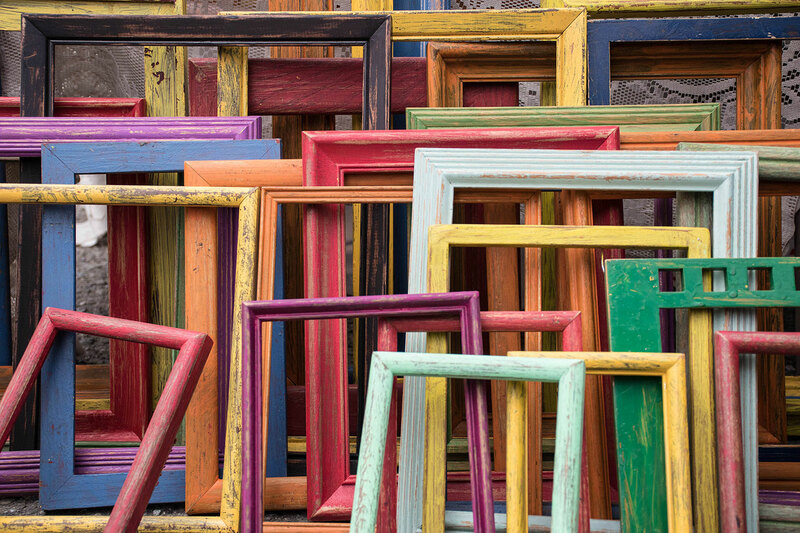 When advertising on Facebook, marketers can customize images, headlines and text. More than customization, there is the ability to A/B test custom variables to maximize click-through-rate. But even if the content of the ad itself is amazing and engaging, there won’t be any conversions if the landing page is awful. Assuming you’re already running paid search campaigns, you can use the existing PPC landing page data, instead of going into social ad campaigns blind. Create a Facebook ad campaign using the landing page with the highest rate of conversion from your search campaigns. A fully optimized ad plugged into your best landing page from search is a recipe for Facebook ad success, or at the very least a great place to start. The interplay between social media and search engines isn’t one-sided either. Once you create an optimized Facebook ad, you can use it to inform your PPC ads in search! Before you dive into pushing an ad campaign on Facebook, it’s important to figure out who your audience is. It’s not worth it to be paying for an ad that isn’t going to resonate with a particular audience. Again, here’s where search campaigns can help narrow your focus. By compiling a list of users who converted from search ad campaigns, marketers can use that data to crea te a custom audience in Facebook. Since conversions can take different forms for different businesses, a custom audience list could be created from people who subscribed to your newsletter or a list of people who bought something from your site for example. You could even get more granular and upload a list of people who stopped opening your newsletter, and target them on Facebook with a new and more interesting offer – one that will make them want to interact with your brand again. 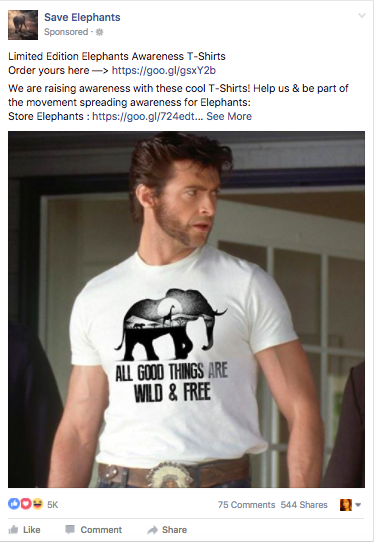 In the image to the right here, I am being retargeted on Facebook by a brand with whom I’ve previously interacted with, working to save elephants. This is a great example of a brand coming back to me on Facebook with a targeted message around a limited edition shirt, featuring one of my favourite celebrities and making me want to interact with their cause again. While marketers should be aware of their audience size as they build a custom audience, the process is pretty streamlined. That is, you can download the list of users from your website into a .txt or .csv file and then upload that list directly onto Facebook! But don’t stop there. Facebook is great for creating what’s known as a “lookalike” audience. True to it’s name, this type of audience is automatically selected by the Facebook ad platform based on what the custom audience you uploaded looks like. Therefore your custom audience and lookalike audience will have similar features. Most importantly they should have some inherent interest in your business or product. And just like that marketers, you have not only one, but two separate custom audiences to reach with your ads! One of the most powerful strategies when combining search and social is to take a list of view-thru users from Facebook and use it to target people in search. Marketers can upload their view-thru list from Facebook into an AdWords campaign and create what’s called a Remarketing List for Search Ads (RLSA). Marketers make sure you remember that acronym! Since you already have detailed info on the view-thru users from Facebook (location, gender, age, etc. ), you can target this list with a different message in search. Let’s say you were running an ad for beard-grooming kits on Facebook. Through different A/B tests and different audience targeting techniques, you determined that middle-aged men in the US who like Vice converted most often on your most optimized ad. You could take the list of people who viewed your message of brand awareness on Facebook, and then retarget them with paid ads on search, offering a 40% off limited-time discount on the kits for example. #5: Bids You Can Bet On! Marketers have to know what stage in the funnel an audience is before deciding on how much to bid on them. How far down the funnel are they? Will they click on your ad only to compare pricing or are they more committed? That’s where the true benefit of using cross-campaign targeted lists comes in. In some of the steps above we discussed the power of taking audience insights from search and bringing them over to social. We also discussed taking audience insights from social and bringing them back to search. In either case, you should bid more to reach these audience groups because they are further down the buying cycle. When targeting a lookalike audience with your ads for example, you may want to increase your spending to reach these users since this audience is far more likely to convert than a general audience. When you’re rolling out an AdWords campaign using an RLSA from a previous Facebook campaign, you would also want to bid more to reach this audience and so on. The point is that anytime you already know that the users you’re targeting already interacted with your brand (either on Facebook or Google), increasing your spend is a good idea! As we’ve shown, there’s real value in combining social ad campaigns with search campaigns. Social networks like Facebook or Instagram may be a bit different in function than a search engine, but the the data and insights they provide are invaluable. Previous search campaigns can inform social campaigns and targeted social campaigns can inform search. Marketers who are savvy enough to make use of the techniques described above will have an advantage over competitors who are not. As users are bombarded with consumer messages more and more (and more! ), it will be up to marketers to say exactly the right thing at the right time to get conversions – combining search and social is a powerful place to start. If you’re only running search campaigns and still uncertain about Facebook or Instagram campaigns, don’t worry, Acquisio’s Guide to Facebook Advertising Success outlines everything you need to know! All screenshots by Chandal Nolasco da Silva. Taken March 2017.